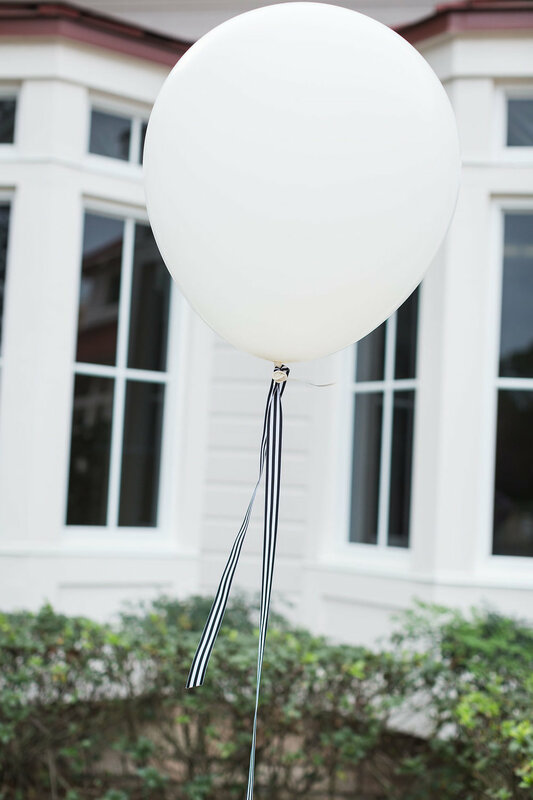 Last week Laura Foote contacted me asking if I was available to style a Disney proposal. I wanted to squeal and do a backflip but instead I replied back with a "YESSSSSS!!!!!" I got in contact with Christopher who was so excited to ask the love of his life to marry him. Laura and I loved working with Christopher because he had the best energy. 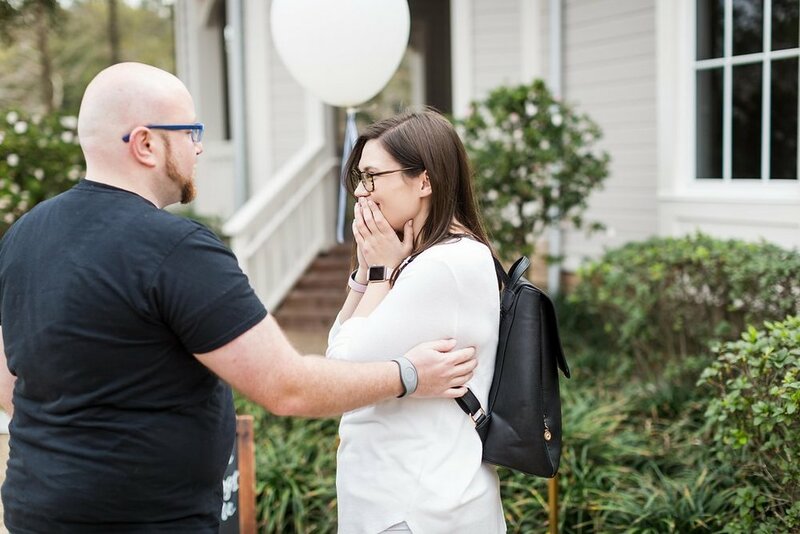 He could not wait to pop the question and just wanted everything to be so special for Sarah. 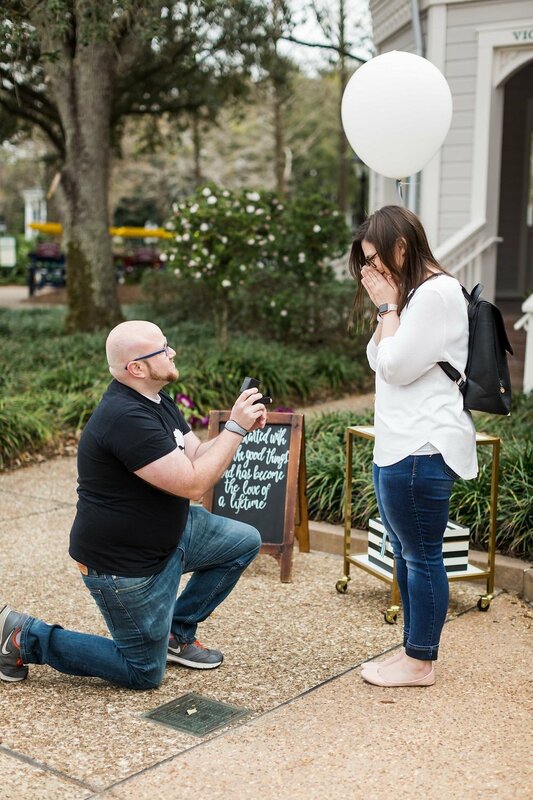 He gave me a few sentences about Sarah and with a little bit of Instagram research (some call it stalking but, whatev) I knew exactly how I was going to style their Disney's Port Orleans Riverside Resort proposal. I knew Sarah was a first grade teacher. That had nothing to do with the design but my love and respect for teachers motivated me to create something so special for her. 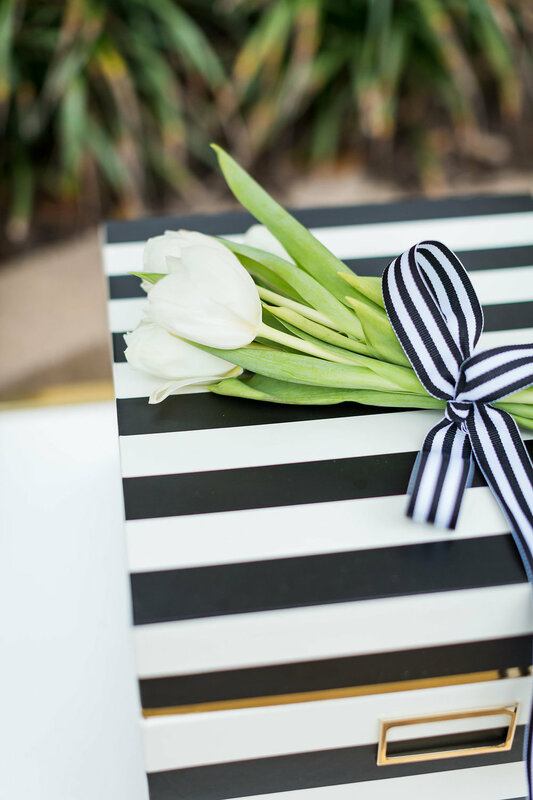 Thanks to Christopher I knew she loved Kate Spade, tulips and her favorite colors were purple and black & white. I had five days to make this happen and I had the best time bringing everything together. I like to think that my super hero is understanding what my client's style is and creating a cohesive design from that skill and this time was no exception. My other super power is being able to pull off this design in less than a week. I went with a crisp black, white and purple Kate Spade and Kansas State University-inspired setup. I included custom flower boxes with purple tulips and a custom chalkboard sign that included a quote that was special to them. I had custom donuts made from Remi's Minis and the toasted with some prosseco in Kate Spade champagne glasses. 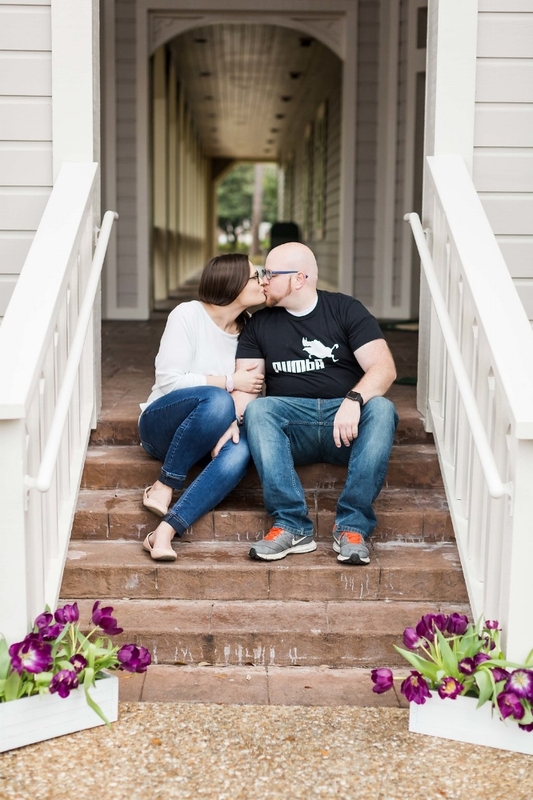 Christopher & Sarah spent the rest of the day celebrating their engagement at Epcot so as a gift I had custom shirts made by Ciera Christine Accessories. 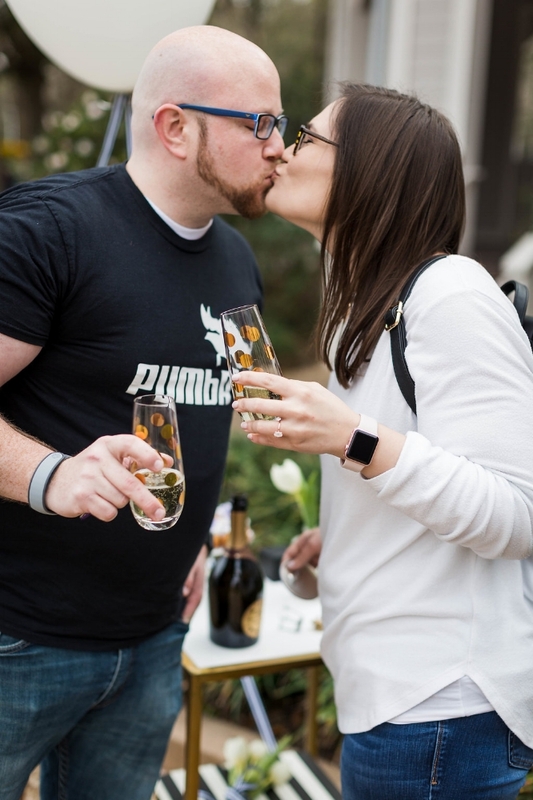 What was sweet for me about this proposal is that Laura and I brought our kiddos along. She watched Madilyn and Brody while I set up and I got to hold McCartney while she photographed. Then, we explored the resort and Disney Springs. My kids were so excited to get to see the proposal and they helped me carry all the things. Sarah and Christopher, we were so honored to be included in this special milestone and we wish you all the love and happiness together. Planning on proposing to the love of your life? Contact me today so I can style the perfect proposal for you.